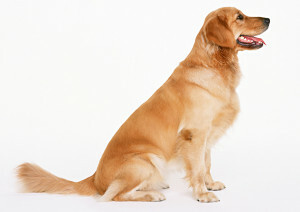 The vast majority of pet dog owners have no wish to enter dog obedience competitions, yet it would seem that all dog owners can see the value that a well trained dog adds to the lives of them and their family. Our pet dog obedience training programs produce dogs that are reliably obedient and therefore tend to be exercised more, socialised more, more included in the lives of their owners, and generally better adjusted, happier dogs with less long term behavioural issues. 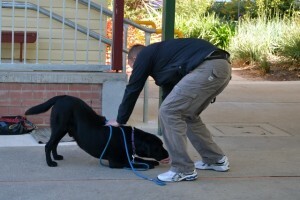 The pet dog training programs offered by Canine Services International can be personalised to fit the individual needs of each dog and handler, and our past and current pet dog obedience clients have included the elderly, young families, people with physical disabilities or limitations, professionals, breeders and professional handlers amongst others. Our pet dog training curriculum focuses on fostering the strongest bond between you and your pet dog with the end goal of creating and maintaining a happy, reliable performance from your pet dog despite the ever increasing levels of distraction and temptation that every day life presents. 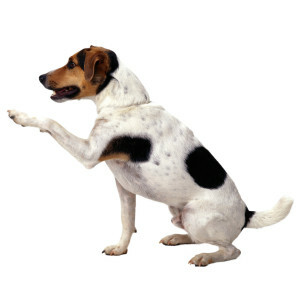 Of course dog training for your pet dog is only one aspect of responsible canine guardianship; whilst quality dog training helps dogs to be well adjusted and happy, many pet dogs do exhibit problem behaviours (jumping, mouthing, biting, etc.) or develop deeper behavioural issues such as anxiety or aggression problems. Canine Services International are highly experienced in helping to identify, treat, and deal with any problem behaviours and related issues that your pet dog may be experiencing. How can we offer so much more than other dog trainers and dog behaviourists? Over the last 10 years we have worked tirelessly to develop our depth of experience, specialist expertise and an industry-wide reputation for providing premium quality information in a way that best advantages our clients and their pet dogs.